The origins and development of pan-Islam in British India have eluded writers for years. The author provides a comprehensive account that links pan-Islam and nationalism in British India. 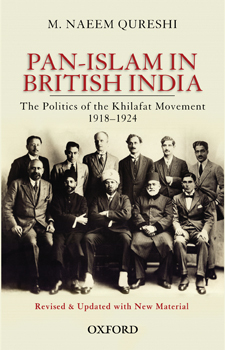 The Khilafat Movement (19181924) and its religio-political dynamics are the principal focus. The extensive and masterful use of primary sources help narrate and explain the duality of the movement as it struggled to reconcile pan-Islamic sentiment with national liberation for India.